On Saturday I attended a baby shower for a sweet friend that was hosted by a few other sweet friends. One of the hostess asked me to make a few printables for the occasion, keeping with the theme: The Forecast Says PINK. How cute is that for a baby shower? 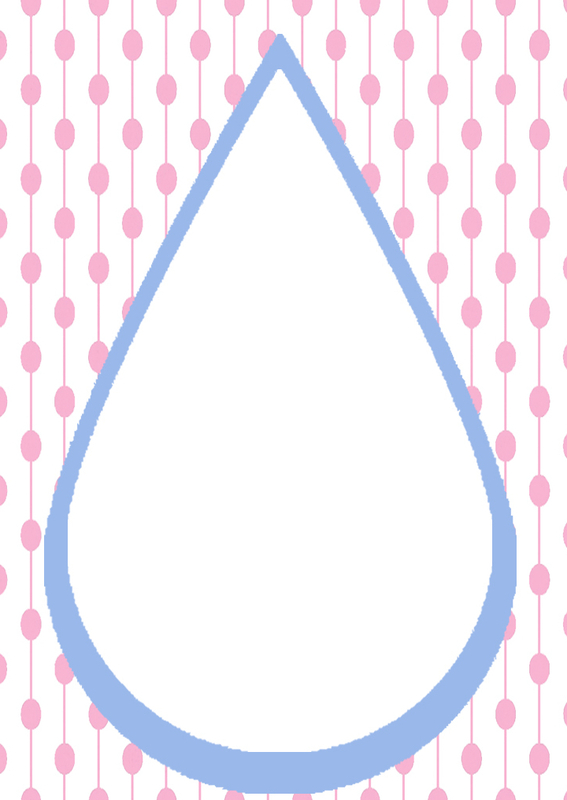 I ended up making food tags and water bottle labels. My friend turned one of my food labels into a welcome sign, so I thought I'd throw that in too, for use as an invitation template or a welcome sign. The free fonts I used are called Champagne & Limousines and Pharmacy. The digital background is another freebie from Mel Stampz. Don't you just love freebies?? For a refresher on how to use the water bottle wraps, go check out the tutorial for my Free Summer Water Bottle Labels. 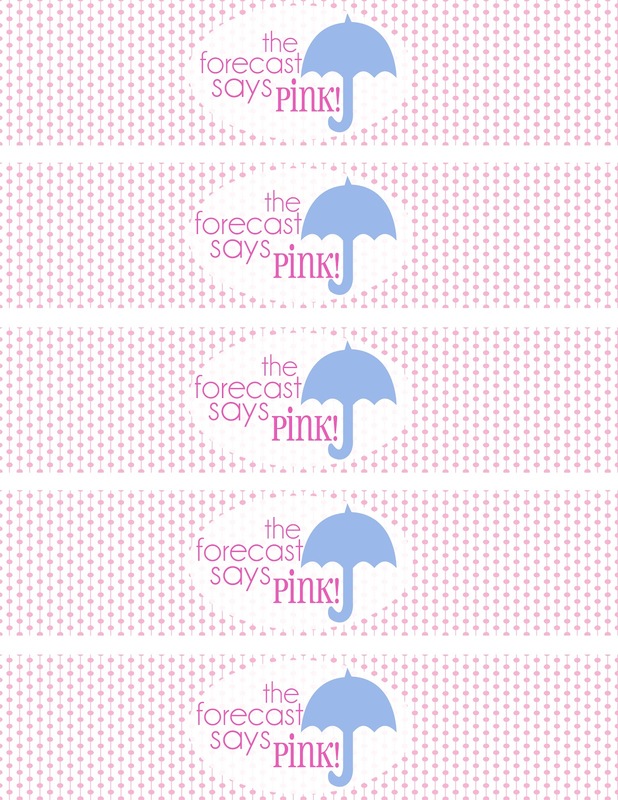 To get any of these printables, right click the image and download it directly to your computer. I find picasa on my desktop to be the easiest way to add your personal text. The food labels are tents. To use: 1) add your text 2) print on card stock 3) cut out around the pattern 4) fold in half 5) display! I didn't take a single picture at the shower, but it was super cute! My friends did a great job. 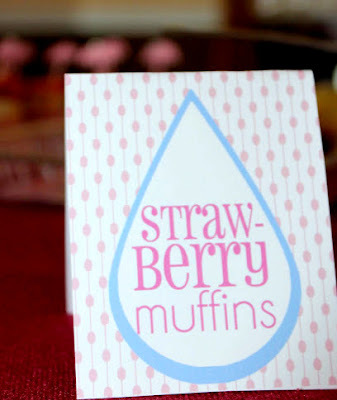 To see details from the big day, visit my friend, Kristen, over at Messy to Manageable. She took pictures from the shower, including that picture above of the food label in action! 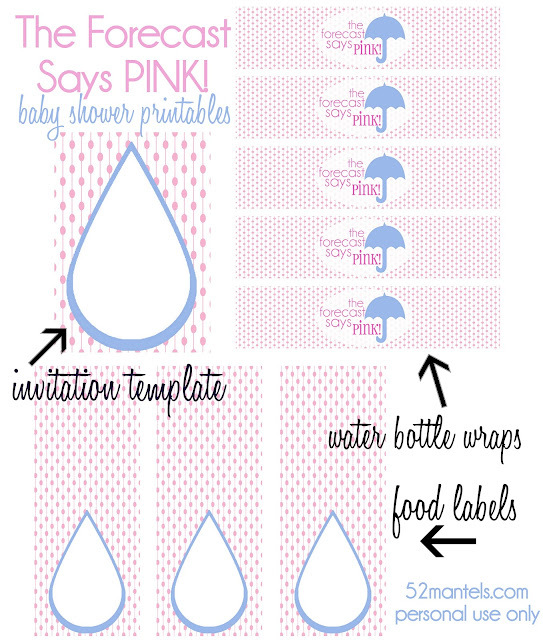 If you use these printables for a shower, please let me know! I'd love to see pictures of them in action and I just might feature you here!! To cute! I'll definitely be using these for my next baby shower. Love the idea! PS. I love your blog. So much inspiration! I used your swim printables for our back to school pool party. I want you for my friend. I love mine, but they never made cute stuff like this for me....and they did have six chances.